The sizable loss from Princess Ida and the new expense incurred from paying rent and insurance for the costume store at Nursling, meant that the Committee was suddenly concerned about the wisdom of their next choice of opera, Utopia Ltd. Changing course and performing HMS Pinafore was a big temptation but there were also worries about causing disappointment among the members and supporters. The five man shortlist of potential producers had grown to seven and, after much discussion, it was decided to approach Mr Spratley. Should he refuse the offer, they would look at the availability and terms of a professional team – Mrs Tice and Mr Craig. Mr Spratley was not tempted and the other pair already had commitments so Alfred Tomalin was persuaded to ‘hold the fort’ for another year, D Cecil Williams was again the MD and Barbara Noyce was chosen as his assistant. Bruce Ellery also retired as Vice Chairman and Michael Ackerley was elected to replace him. The Echo reviewer was thrilled that the Society was attempting an unknown G&S and declared that: ‘Principals combined well with each other, notably the duets between John Hoskins (Fitzbattleaxe) and Valerie Mansell (Princess Zara). Dennis Gooch also impressed as King Paramount, strong of voice and light of dance-step: and Pamela Hoskins , with Jill Meager as demure twin sisters: Tom Judd and Bert Clague, un-legal-like judges: Andrew James and Peter Robson, another pair of scheming islanders: and Marjorie Harman, governess model of propriety. 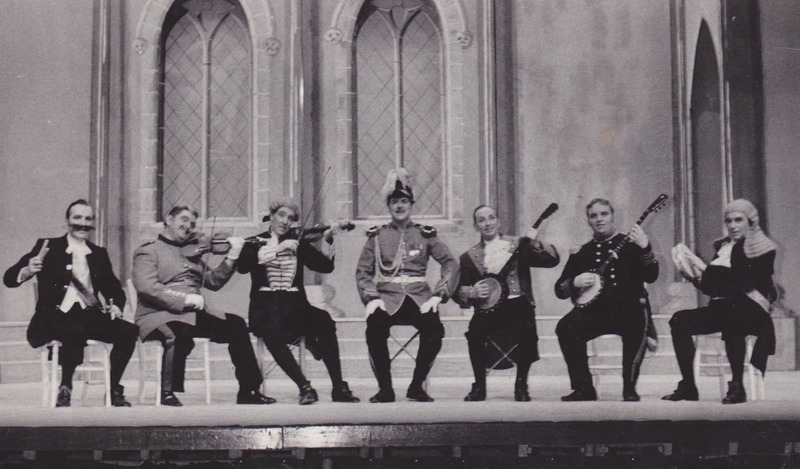 Imported Britons (Clifford Lassam, John Hoskins, Nicholas Short, Ralph Denby, Bernard Harman and Gerald Warr) were an entertaining sextet – and with Dennis Gooch sang a show-stopping chorus.’ Amazingly, two members from that company, Clare Minns (who played Melene) and Peter Hill, are still performing in SOS shows some 44 years later! After the success of providing a home-made set, it was thought a good idea to also have home-made costumes and those worn by the ladies in Act 1 were created by Mrs Grace Brown and her team of volunteers. Advance ticket sales were indeed poor and the Committee attempted to use the opera’s rarity value as a selling point. 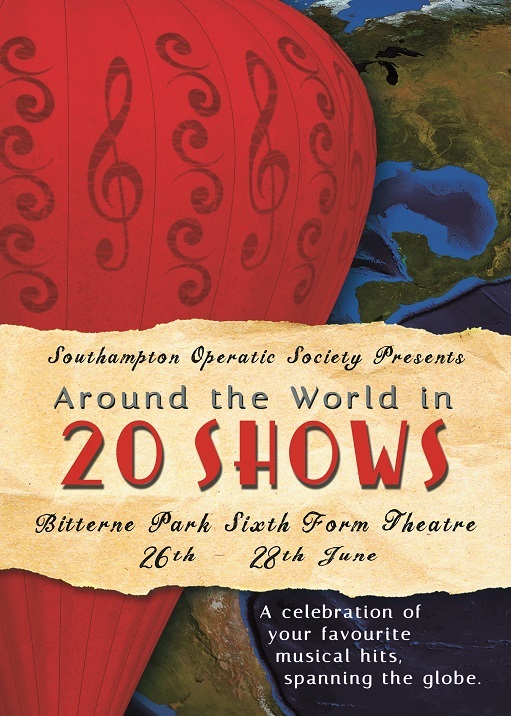 Invitations were sent to 53 societies in the South with the promise of reduced tickets and free refreshments after the Wednesday performance but only Gosport Operatic Society took advantage of the offer. Two weeks before opening night, Robert Hughes died unexpectedly. He had been chairman for a remarkable 36 years and, although his frequent absences from meetings often caused annoyance with the other committee members, he had shown himself to be very adept at solving the many problems that arose, whilst his legal advice (he was a Barrister at Law) was often sought and freely given. 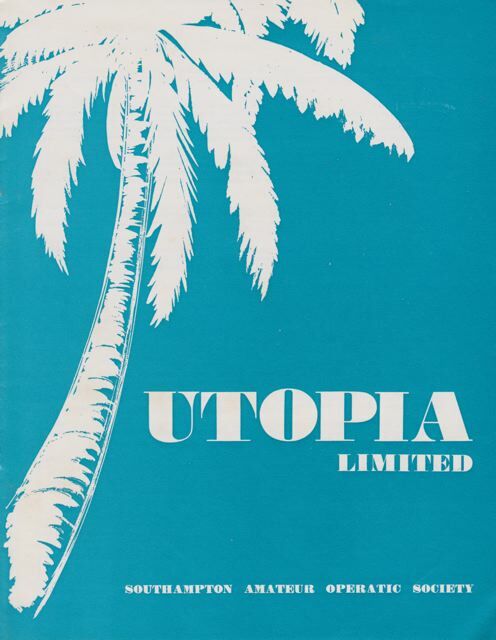 As feared, Utopia Limited made a loss of £493 1s 9d (£493.09) and a donation to charity was not even considered. Indeed the Society received a grant from Southampton Council for £90 to help with the coming season.